both my husband & I absolutely love having people over, so we did just that over the holidays. since we're overseeing the young adult ministry at our church, we had a get together with them at our home on december 22nd. SO i decided i would BAKE, a ton. the party was on the Thursday, with work, my music therapy internship and the business of life - I started my prep on Monday. 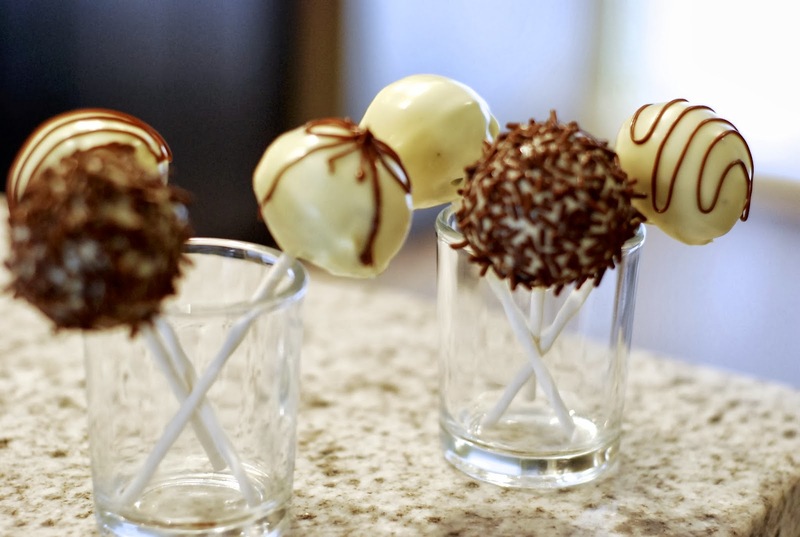 Monday on my day off I made my cake pops, decorated and froze them. boy these are harder than they appear! give yourself time if you're going to do it - and read up on it to know what you're doing. 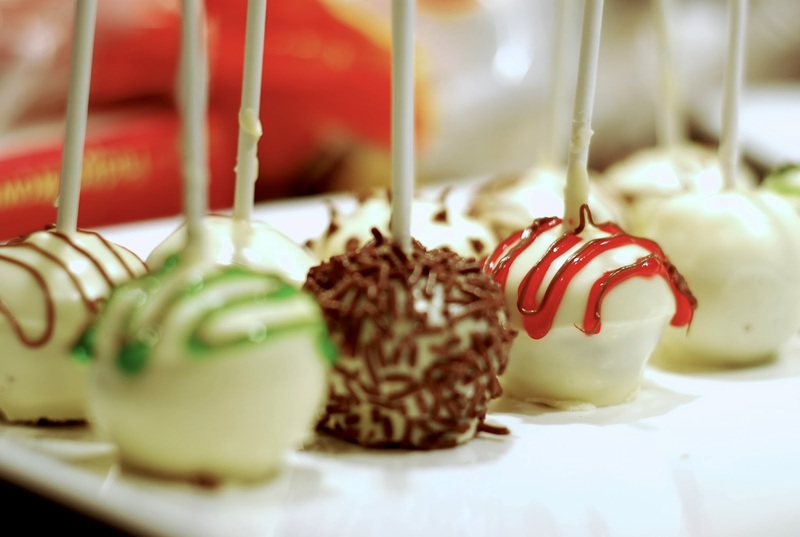 save yourself the headache of finding out first world cake pop problems on your own. Tuesday after work, I came home and made my Kit Kat cake! super fun. it can be a bit pricey though with all those kit kats, smarties and ingredients but super easy to do. a nice tip I read is to freeze the kit kats before you add them to your cake so you don't melt them with your fingers and leave fingerprints! Again, I froze this cake too to last till Thursday. Wednesday after my internship I made my eggnog pudding and santa strawberries! First, about the eggnog pudding - it's super simple...but make sure you use smaller serving cups cause guests usually can't handle too too much. I stuck a pirouline wafer in each one for a nice change of flavour ...but mainly to look good haha! and now for my favourite! again - I did a lot of reading prior to making them. do NOT just use normal whipped cream in a can for these = they will deflate in no time. I made mine from this recipe - but just made them a tad different in the way it looked (and just used chocolate sprinkles for the eyes instead of the gel). This takes time, so give yourself time to make them! because they're cheesecake filling they lasted in the fridge overnight to the christmas party the next day! so! Thursday evening when I got home at 5:30pm with only a couple hours to spare before everyone started showing up, I popped everything out of the freezer to give an hour for thawing, and took the rest out when everyone got there! voila! a few days of prep work with no problem the day of! can't wait to try out more cute desserts. the party turned out great. 30 people, 30 full stockings. random stockings stuffers (ex. a little rodent - hamster? haha). many laughs and great memories. next dessert i'll soon make: pistachio layered mini cakes & cream horns!